As I write this I am moving my feet to a silent rhythm. Dum dum DUM. Dum dum DUM. I am almost always moving. Stimming is short for 'self-stimulatory behaviour' which, for autistic people, usually means something you do to cope with or express feelings and emotions. A ‘stim’ is the action you do, which can be jumping, flapping your hands, tapping your foot, humming... the list is endless. Often the action is done repetitively. You can also stim visually, by looking at a bubble lamp or lava lamp, for example. Often, the public's image of autism is of a child rocking. That rocking is a stim. However, stimming is not just an autistic thing. Everyone does it sometimes. Look around the office and you'll see someone spinning their pen. Maybe when you're nervous you tap your foot or pace around the room. But as with a lot of autistic traits, it seems magnified in autistic people. Their stims are different, or more noticeable, or more frequent. They're also not easily controlled. For me, and probably for many people, the way I stim is different depending on the reason I'm doing it. If I'm anxious or stressed I tend to tap my feet and hands, count while walking, tap rhythms out, or roll fabric, like the sleeve of a jumper, between my fingers. When I'm happy or excited I will jump, flap or shake my hands, or make noises. How is it related to masking? Not stimming is one of the main ways in which I mask. I have always been aware that stimming isn't something to be done in front of other people, even before I'd heard of the concept. Of course, the reason I feel like that is because society tells me it's strange. Naturally, someone doing something out of the ordinary will draw attention and, often, judgement. I'm sure a grown woman jumping up and down in public might seem funny, embarrassing, even alarming. But how different would things be if there was more understanding? 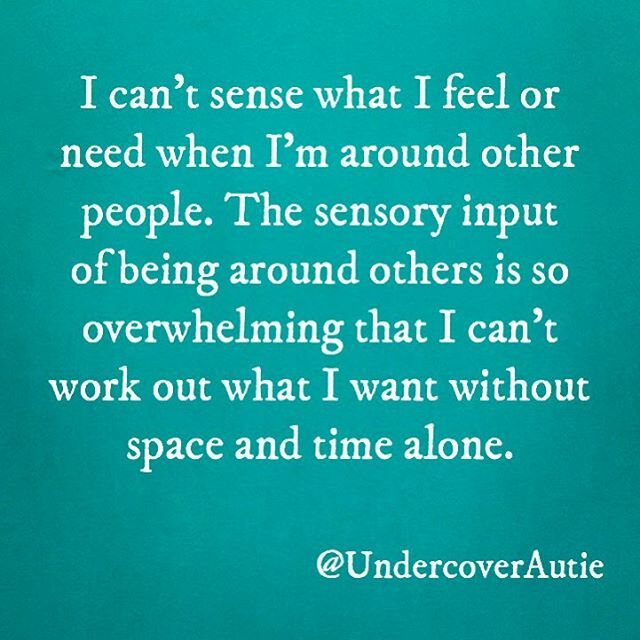 If autistic people were better understood and didn't have to hide? If all of us, autistic and neurotypical, weren't so constrained by society's norms? Imagine hearing a funny joke, but having to suppress a laugh. Or feeling tears well up in your eyes but forcing yourself not to cry. That's how trying not to stim feels. It's an instinctive, involuntary response that I have learnt to control out of 'propriety'. But why should we suppress it? There's nothing inherently wrong with stimming. It's not harming me or anyone else, and it is a natural expression of how I'm feeling. As I sit around a table with friends, my toes scrunch up and down inside my shoes. When I waited in the doctor's office yesterday, I repeatedly bent my fingers back while my hands 'rested' in my lap. Someone says something complimentary and my toes wiggle until the flood of happiness has subsided. I never knew that these were stims. Because these examples are pretty subtle, they either go unnoticed or I am merely considered fidgety. But for me, some of them are a replacement for more obvious stims I'd do if it was considered socially acceptable. I remember occasionally while I was growing up, I would feel excitement bubble up inside me and, if I was alone, it would physically explode out of me in the form of jumping and laughing and clapping. Even in solitude, I felt embarrassed afterwards. I would wonder whether there was something wrong with me. I felt 'different'. And so I would go back to suppressing what I thought of as my outbursts. I realised recently that I often stop my own anxious stims because of a sort of 'fake it till you make it' message that's been drummed into me. Nervous on a first date? Act confident! Afraid of giving a performance? Pretend you're Beyonce! Certainly don't 'indulge' in your anxiety, because it will make it worse. So stop pacing the room and biting your nails - you'll just make yourself feel worse! This is something I hadn't questioned until it occurred to me that perhaps I wasn't perpetuating my anxiety by doing what I now know as stimming, but allowing that anxiety to be felt and expressed and, later, let go. I'm still working this one out. In fact, I'm still working the whole stimming thing out, really. It's something I’m still exploring. I ‘pass’ so well as neurotypical when I mask that doing it overtly in front of my partner and family still makes me feel self-conscious, let alone in front of anyone else. When I do do it, I make sure it doesn't last too long. I'm still testing the waters, making sure it's safe. Making sure that I'm still able to be liked and loved if I reveal these long hidden parts of myself. I'll leave you with a final anecdote which took place a month or so after James and I had started dating. I was at his flat and he was making us dinner, when I found out my brother and his girlfriend had bought their first flat together. I was so excited and apparently so comfortable with James that I jumped up and told him that I needed to run around the room. My inner voice chipped in, "That was a bold move... might be a make or break moment for the relationship..." but I started to run anyway. He looked at me for a second, put down the spoon in his hand and said, "I'll run with you!" And the two of us ran around in circles, laughing, and it was one of the best moments of my life so far.